Stoney Point Road is closed from Cherry Hill Park to E Avenue. 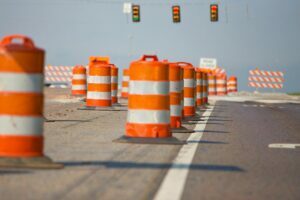 Construction will continue near the church throughout the summer due to the new Hwy 100 exit for E Avenue and the creation of a roundabout at E Ave and Stoney Point. Easter Sunday we worship at 8:30, 9:45 and 11am. More information. There is construction near the church! See this map of how to get around it! Worship Sundays at 8:30am (traditional) and 11am (contemporary). More information. VBS 2019 is coming soon. Get your ROAR on and register today! Would you like to know how to connect to the church? Every second Sunday of the month at 9:35 AM and 12:05 PM you have an opportunity to discover your next steps. We gather by the fireplace in the lobby area. Open Table is a chance to intentionally connect with others at Cedar Hills over a meal. The next Open Table will be a brunch on Palm Sunday, April 14 served 7:30am-12:30pm. Everyone is welcome! This particular Open Table is unique in that is it a fundraiser for the Journey Youth Group. 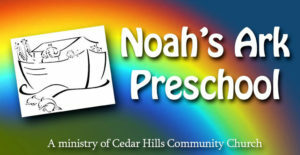 Noah's Ark Preschool is a ministry of Cedar Hills Community Church and offers classes for 3 & 4 yr old preschool. An opportunity for adult women to come together twice a month for fellowship, fun, and to be able to grow in your walk with Lord. Join the young adult post-high crowd at Applebees every Friday night at 9pm for Real Talk. Login to view calendar, church directory, answer volunteer requests, view giving statements, or update your member information. The Open Hands Food Pantry is open to anyone in need of food assistance. While an ID may be requested, it is not required to obtain USDA foods. Patrons can visit once per calendar month. Download the new Cedar Hills app. Use it for mobile giving, submitting prayer requests, the Bible, weather updates, and insider information. View the weekly sermon guide. (Always available in the Cedar Hills app). Giving has never been easier. Setup your PushPay account today for your recurring or one-time gift. 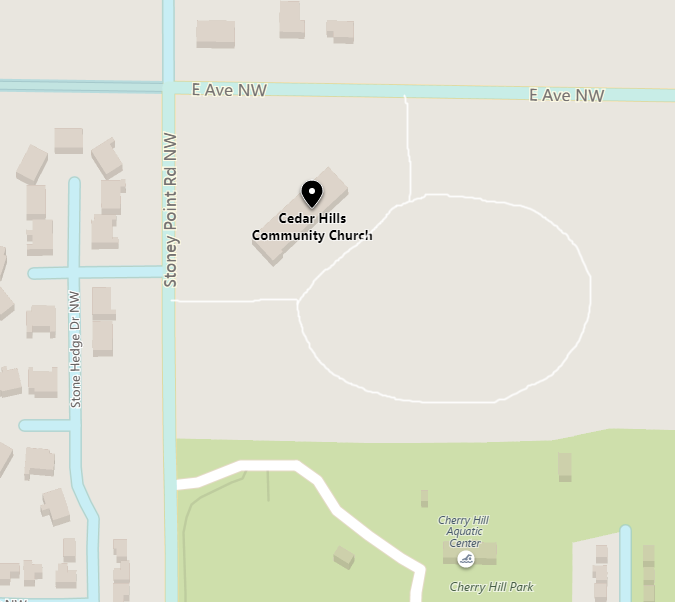 We're located on the corner of E Ave NW and Stoney Point Rd, next door to Cherry Hill Park.